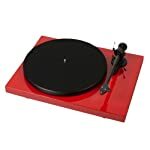 Pro-Ject’s Essential III SB is the turntable to choose when it comes to convenience, affordability, and great sound. 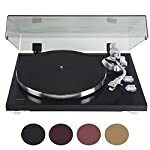 It is tailor made for the audiophile who has a library of 12″ LPs and 7″ singles and likes to go back and forth between them with ease. 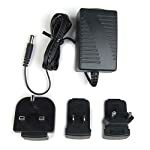 With its Speed Box electronic speed control, the Essential III SB lets you change speeds with the push of a button. 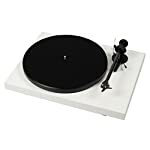 Pro-Ject’s Essential III turntable offers a variety of enhancements compared to its successful predecessor, the Essential II. The III’s upgrades include a diamond-cut aluminum drive pulley, a resonance-optimized MDF main platter and MDF chassis. 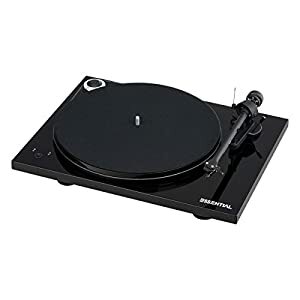 The refined, high-precision platter bearing has significantly lower tolerances than Essential II. 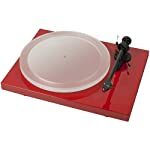 And yet, the performance-packed Essential III is now Pro-Ject’s audiophile entry-level turntable. You just can’t do better for the price. The setup is very simple, and this complete package comes with tonearm, cartridge, and other essential accessories. A resonance-optimized MDF platter helps to quell plinth vibration. An integrated quiet running DC-powered synchronous motor control minimizes motor vibration and guarantees speed stability. 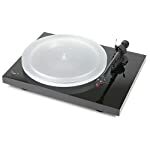 The Essential III SB incorporates a diamond cut aluminum drive pulley and a low tolerance platter bearing with stainless steel spindle for low wow-and-flutter and speed accuracy. 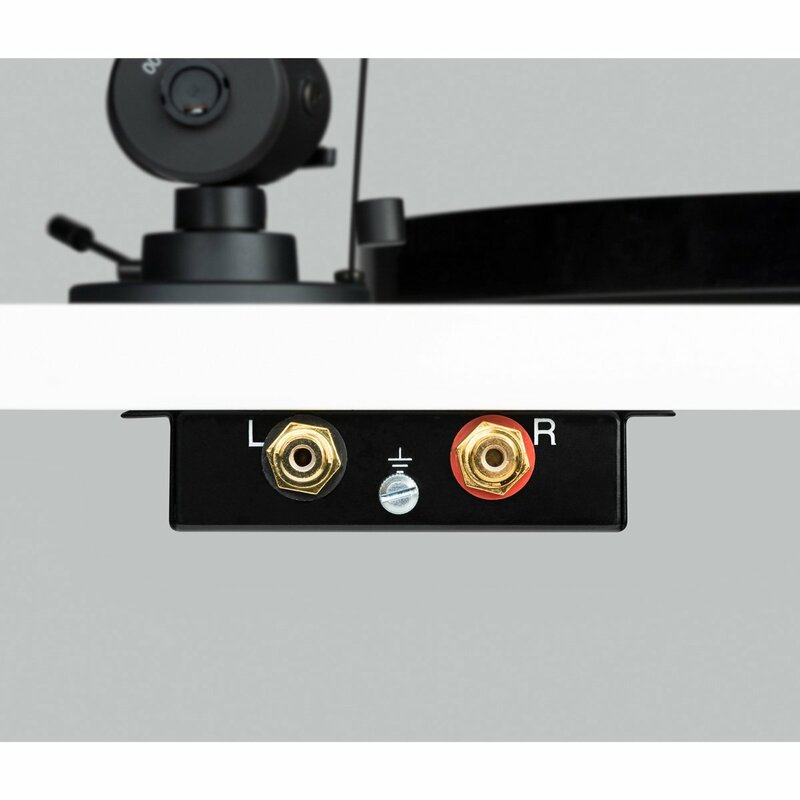 Ultimate convenience is achieved thanks to electronic speed change using Pro-Ject’s acclaimed Speed Box system. 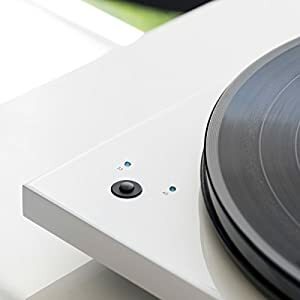 This allows you to change speeds with the push of a button instead of having to fuss around with the turntable belt and pulley. 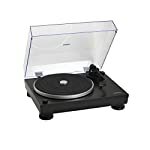 And Speed Box gives you extremely accurate speed control at both 33-1/3 rpm and 45 rpm, so it’s great for LPs and 45s. 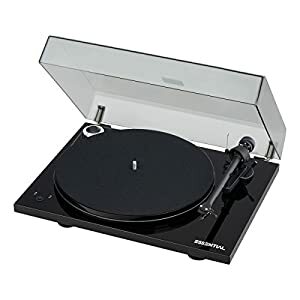 The Essential III SB turntable also includes chassis-fitted RCA interconnect jacks and comes with a 1.0 meter Connect-It E stereo RCA cable and an attractive dust cover. Essential III SB comes in aesthetically pleasing high gloss black, red, or white finishes.